Above photo: An elderly man attends an art therapy class at the Malakhovka centre for geriatric care and rehabilitation in the village of Malakhovka outside Moscow. 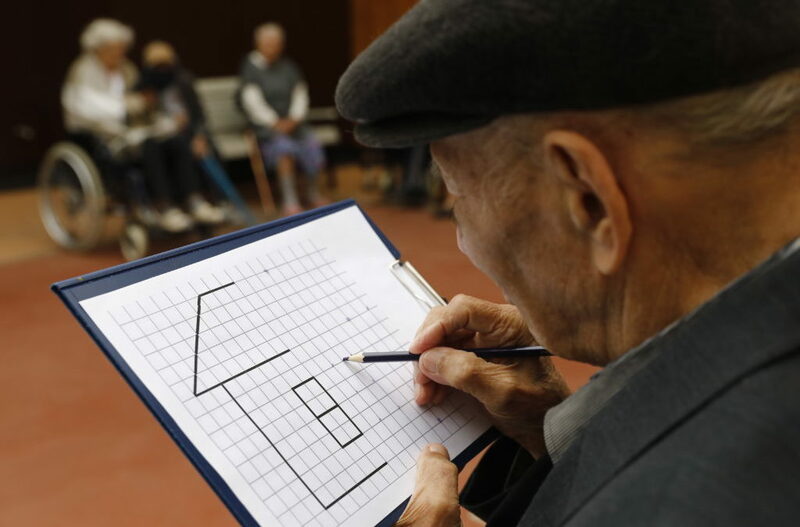 The centre provides individual care for elderly people with the use of various kinds of therapy, i.e. art therapy, music therapy, puppet therapy and others; the centre also holds training events and master classes. Artyom Geodakyan/TASS (Photo by Artyom GeodakyanTASS via Getty Images)esearchers at the University of Waterloo believe that drawing is perhaps the most effective mnemonic tool.TPeople are more likely to remember information they draw than information they visualize, write, or photograph, a new study published in Current Directions in Psychological Science says. Whereas other mnemonic devices engage one skill, drawing engages multiple: spatial, visual, and motor. Researchers at Ontario’s University of Waterloo tested 24 university undergraduates and 24 adults aged 65 and older. Each subject was shown a series of 30 nouns and told to draw half of them and write out the others. Afterward, the researchers played a series of tones for the participants—a technique to upset the formation of memory. Finally, the subjects were given two minutes to recall as many of the words as they could. Interest in the topic has increased in recent years as a debate grows over whether or not electronic devices facilitate memory—as they often purport—or inhibit it. Studies similar to the current one have started looking at memory’s relationship to gadgets as compared to writing by hand and taking photographs. The results have often been contradictory—leading us to perhaps the most salient takeaway from all this: the way our brains form memories is still something of a mystery.